If you want something that is not on the list please contact us in order to inquire about availability and/or additional charges. Length: Choose any length between 8-32inches. 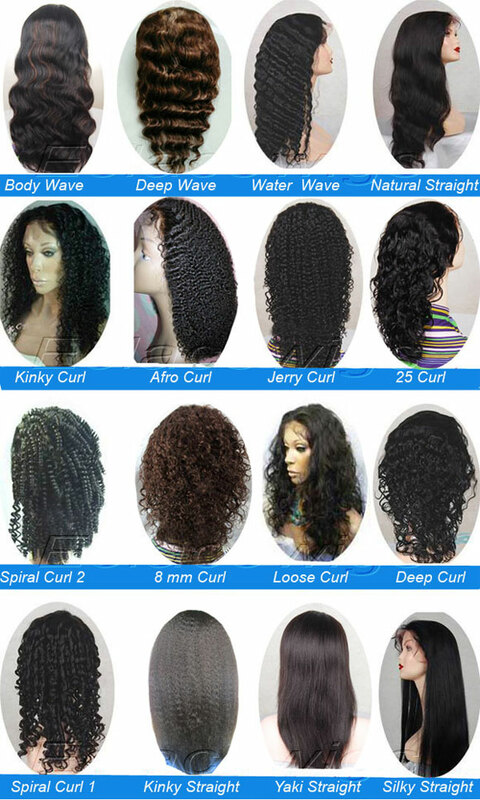 Hair Texture: Choose from any of our pictured styles or you can send us a picture of what you want. We are great at texture/curl matching! Hair Origin: Indian hair(recommended for all curly textures),Brazilian virgin human hair,Peruvian virgin human hair,Chinese virgin human hair.we are professional factory. 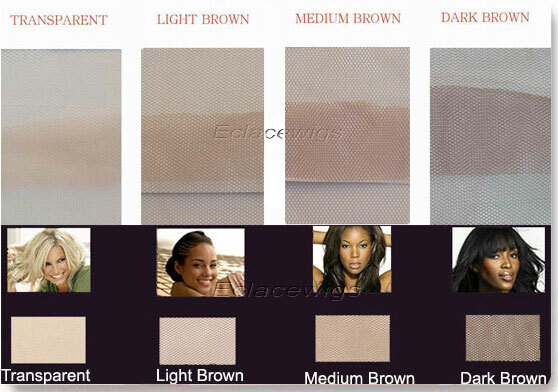 Lace Colors: Transparent, Light brown, Medium brown, Dark brown or Black lace color. Hair Density: Extra light (80%), Light (90%) Light/Medium (100%), or Medium (120%). You can also fade/blend densities to achieve your desired look. 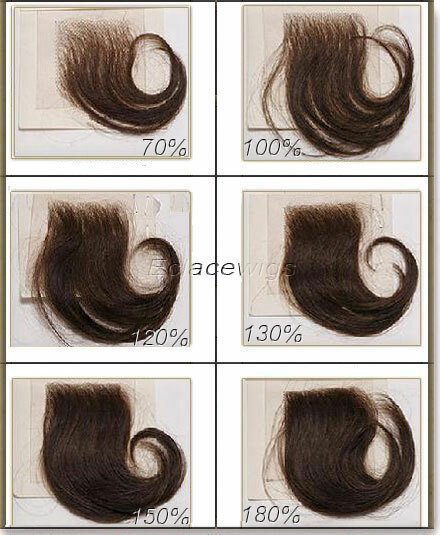 Hair Colors: 1, 1B, 2, 3, 4, 6, 8, 9, 10, 12, 14, 16, 18, 20, 22, 24, 25, 27, 27A,30, 33, 35, 118, 130, 144, 350, 613, natural color or grey. It is 3/6/9 mixed in the picture. Highlights/Color Blends: Select any highlight/blend color to complement your base color (2 or 3 colors). for each additional color or make color according to your pictures. Cap Design: View cap construction schedule. Stretch lace: Available upon request. 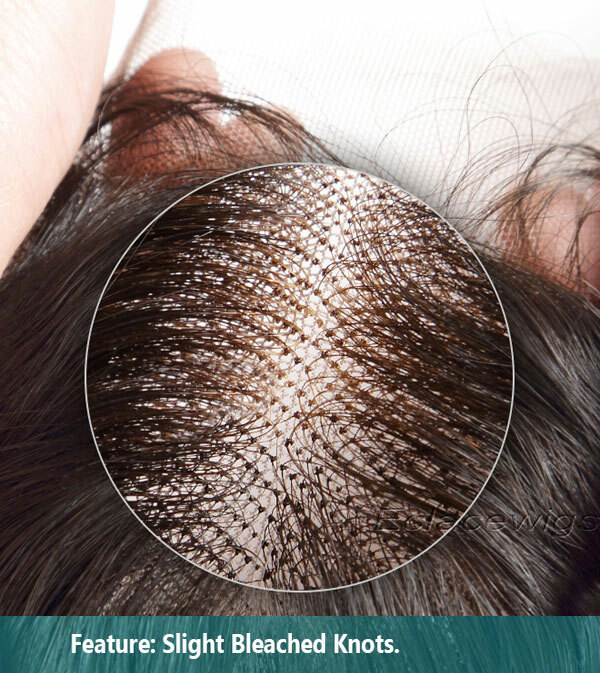 Lace Type: Swiss Lace,French Lace,or Monofilament lace. Babyhair: Yes/ No- Baby hair can be added around the entire perimeter of the unit or only in certain areas if you prefer. Bleached Knots:Knots are bleached at front hairline for no additional charge. black colors can be bleached softly,not too white,color 1 can't be bleached.